Home » EWC » Hold on to those notes!! Hold on to those notes!! 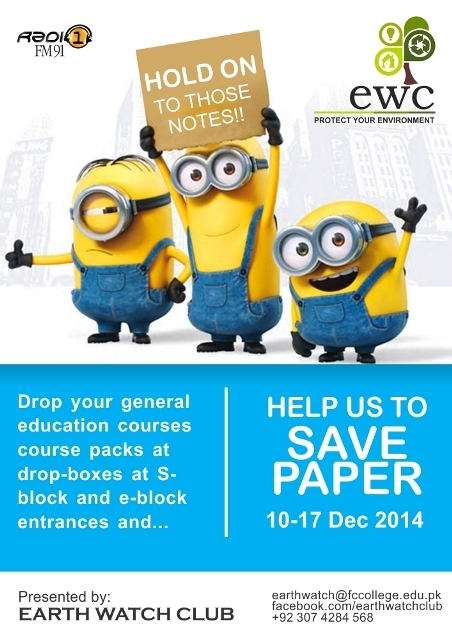 The Earth Watch Club wants your help to save paper! We are taking in this semester’s notes of the general education courses like ISLM-101, URDU-101, MATH-100/101, etc. and re-distributing them to the students who will be taking those courses next semester. So if you have any old notes, just hanging around on your bookshelves and you don’t know what to do with them, bring them in! Don’t let those pages go to waste!! You will be seeing drop boxes at the entrances of both the main undergraduate buildings (E block and S block). 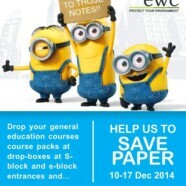 Just drop them there and you will not only be recycling paper but you will also be helping someone else!